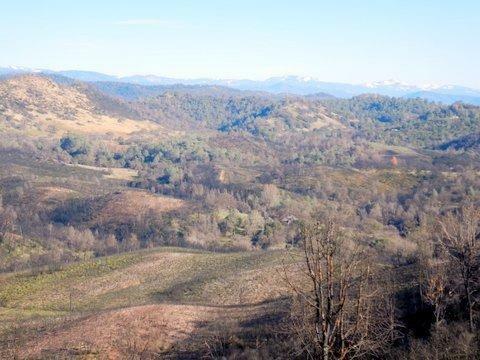 Portion of the original John C. Fremont Grant this 104.32 Acres has beautiful home sites at top of mountain with views across Bear Valley to Mt. Bullion. Within 4 mi of Mariposa, 35 mi to YNP and 2 mi to the Mariposa-Yosemite Airport. Property is zoned Mountain General and allows minimum parcel size of 40 acres. PG&E lines nearby.Can also purchase adjacent properties. 104.95 scres abutting to the south (APN 01-120-047) also zoned Mountain General allowing 40 acre minimum sized parcelsPriced at $135,000 and 102.36 acres to the east (APN 012-120-050) for $149,500 It has 2 zonings (Rural Residential Zone and Mountain Home Zone) both of which allow minimum 5 acre sized parcels. Many beautiful trees, rock formations and wildlife (deer, quail, wild turkeys) on this quiet and secluded property. Plus close proximity to town amenities (shopping, pharmacies, hospital etc.) make this an ideal homesite or retreat. Listing provided courtesy of Tinetti Realty. Listing information © 2019 MetroList Services, Inc.